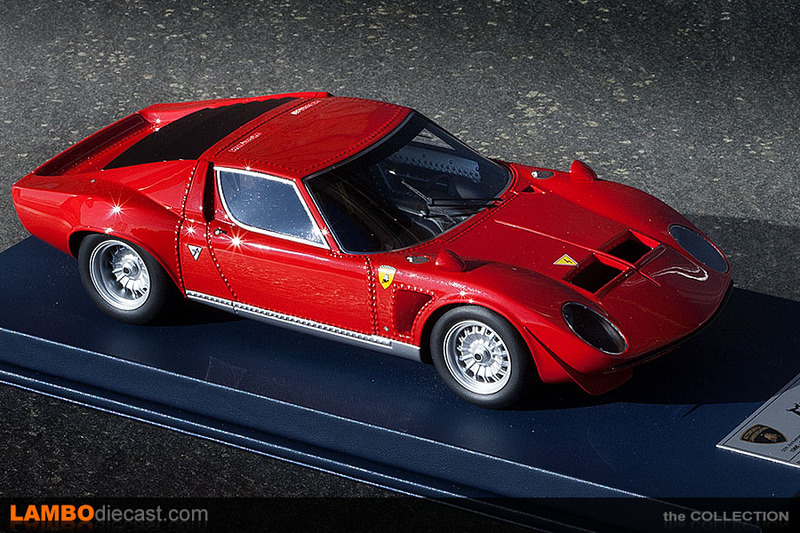 I have been a fan of the Lamborghini Miura for a long time already, so my collection of 1/18 scale models contains a lot of units from this lineup already, ranging from the original Miura P400 over the P400 S and the ultimate P400 SV, and let's not forget the amazing looking Miura SVR and SVJ models. 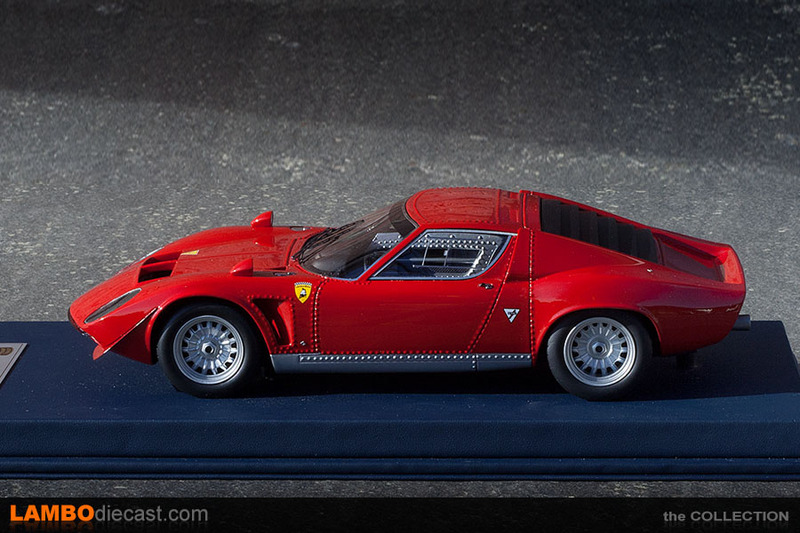 But as always a few models are still missing from my collection, like the one of a kind Miura Roadster (which I do own in 1/43 scale from SMTS) and the unique Miura Jota (I have a 1/43 scale one from Minichamps) ... until now ... Looksmart released a 1/18 scale model of the latter, so I just had to add it to my collection. 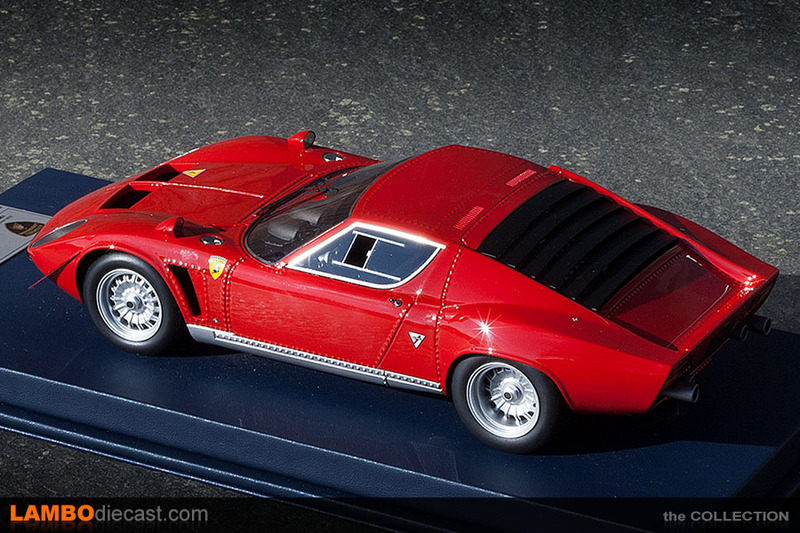 The real Lamborghini Miura Jota was built in 1972 by none other than Bob Wallace on a 1970 chassis number 5084 using engine 30744, but the Miura Jota was not a production car, Bob built this one-off during his spare time, and while it might look like a Miura, the Jota was developed from the ground up. 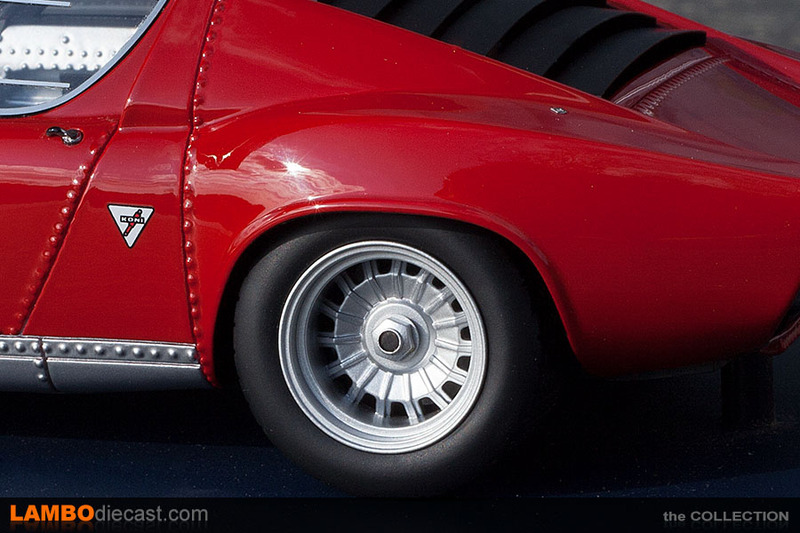 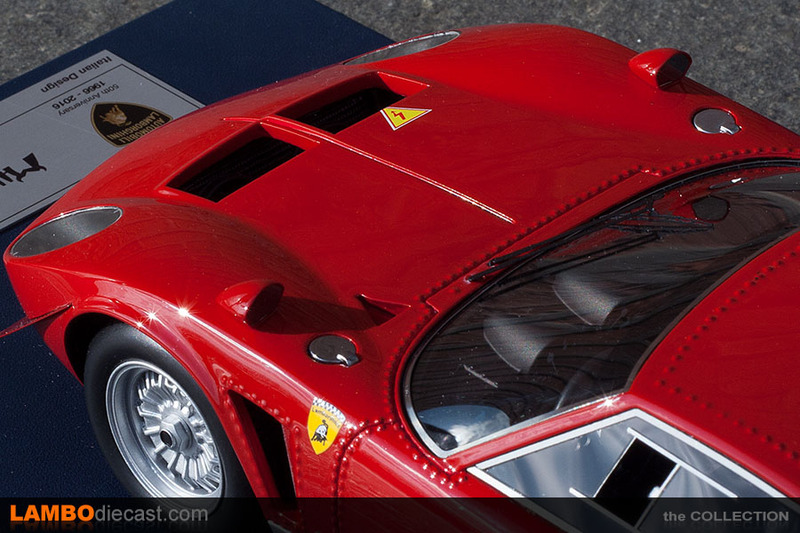 Using a body made from Avional to keep weight down, and a chassis with many parts replaced by lightweight alloy or drilled to make it less heavy ... the Miura Jota was a racecar built to Appendix J specifications ... hence the name. 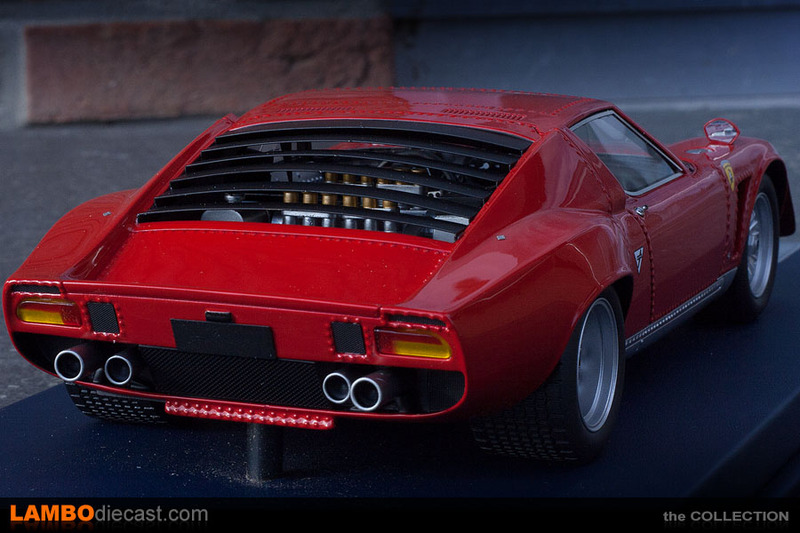 Wider wheel arches, lots of air intakes and vents, sliding side windows, a chin spoiler, massively wide rear wheels and four thundering exhausts made the Miura Jota a one of a kind, street legal supercar from the Seventies ... in early 1972 this unique piece of Lamborghini history was sold to InterAuto in Brescia, later on the car was involved in a heavy crash that ruptured the side mounted fuel tanks and caused such an intense fire even the chassis was lost beyond repair. 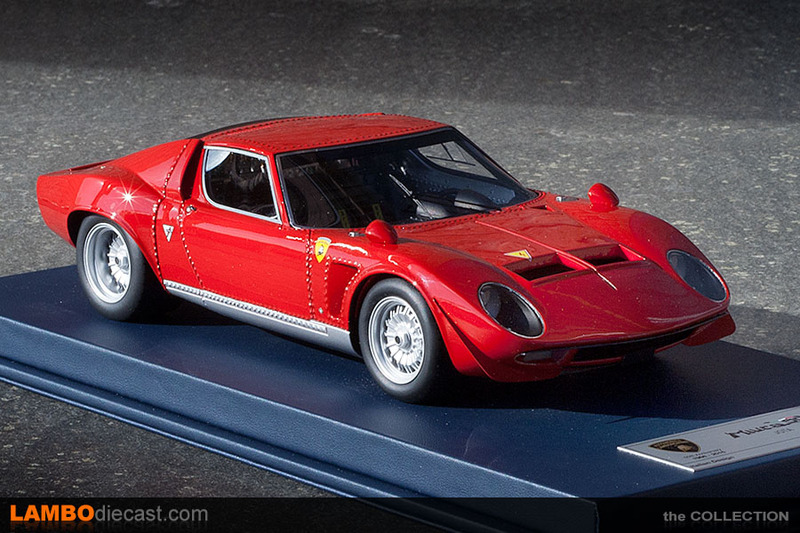 Several owners would ask Automobili Lamborghini SpA to recreate a Jota on their own Miura, but that request was never accepted ... instead, a handful of Miura were transformed into SVJ models, with some influence of the Miura ... it would take until an enthusiast from the UK to recreate a full Jota replica using an actual Miura chassis (#3033). 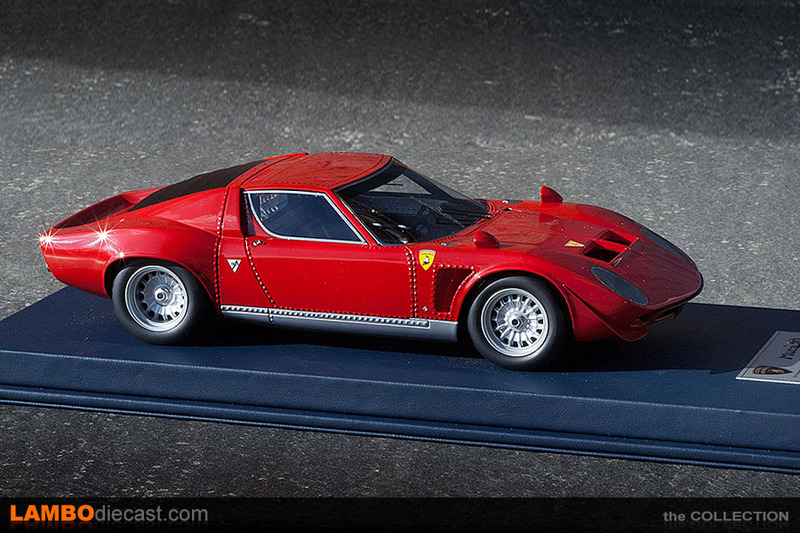 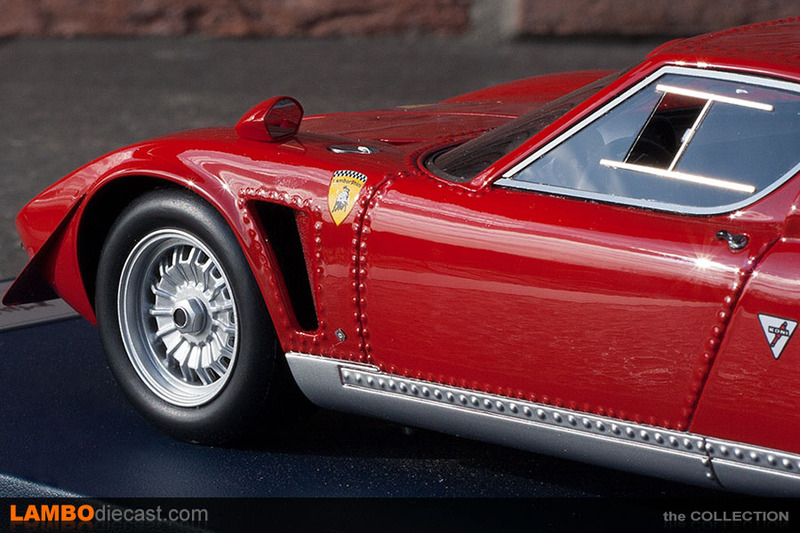 The 1/18 Looksmart model is a sealed model, nothing opens on these, but that's fine, I just love the styling of the Miura Jota with those aggressively styled wheel arches, deep wheels and massive tires, all those rivets on the original bodywork have been replicated by Looksmart very nicely. 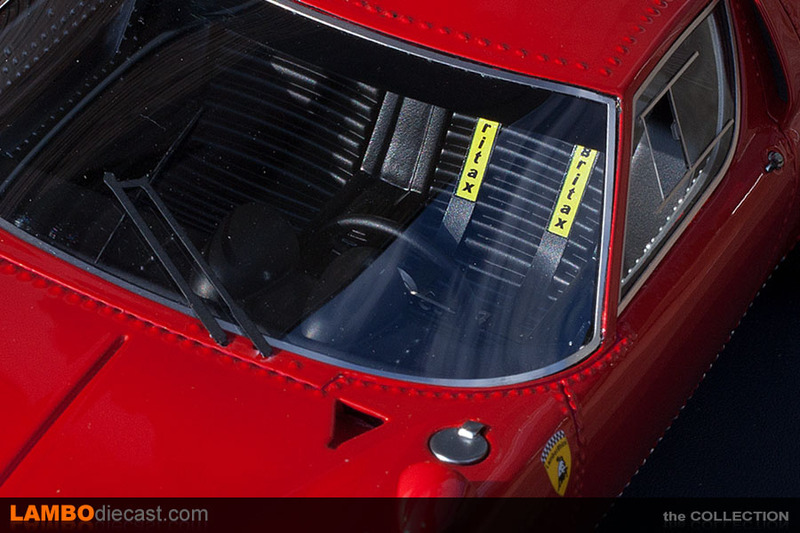 Even the correct interior has been installed by Looksmart, complete with multi-point racing seat belts and sliding side windows. 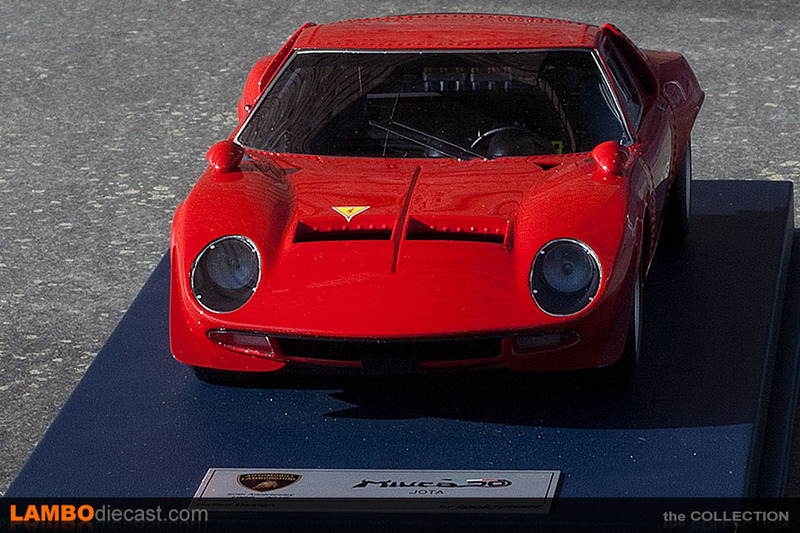 Looksmart will release another edition of the Miura Jota later on that includes extra air intakes on the engine cover, those were added later on to the car, and are featured on Piet's replica, but on the first, original photos of the Miura Jota these weren't present, so I got this first release of the Miura Jota from Looksmart.